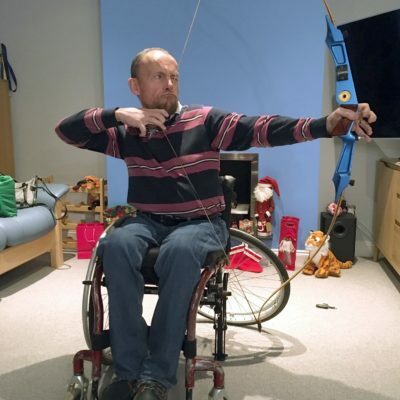 A wheelchair user wishes to return to archery. 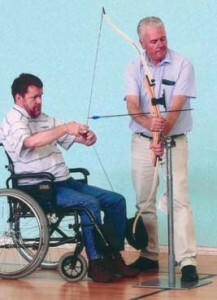 To avoid the bow clashing with one of the wheelchair wheels, he removes one wheel and supports the chair on a jack. 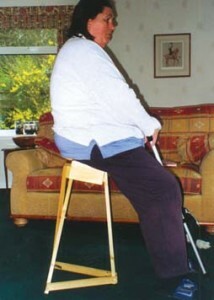 A change of wheelchair means the jack no longer fits his chair. 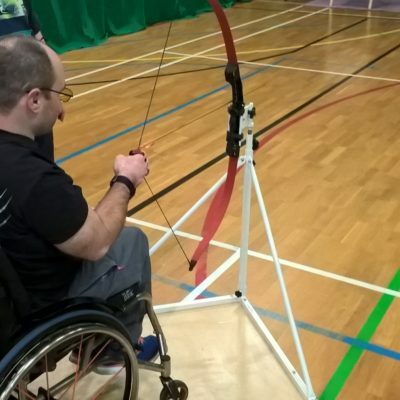 A bracket was made to fix the jack in place to allow one wheel to be removed.